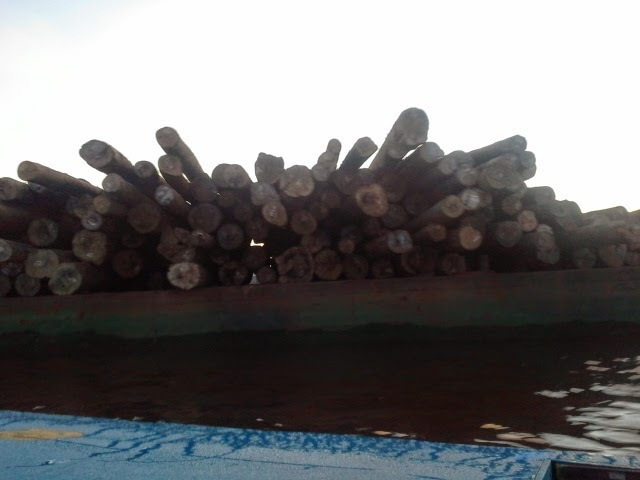 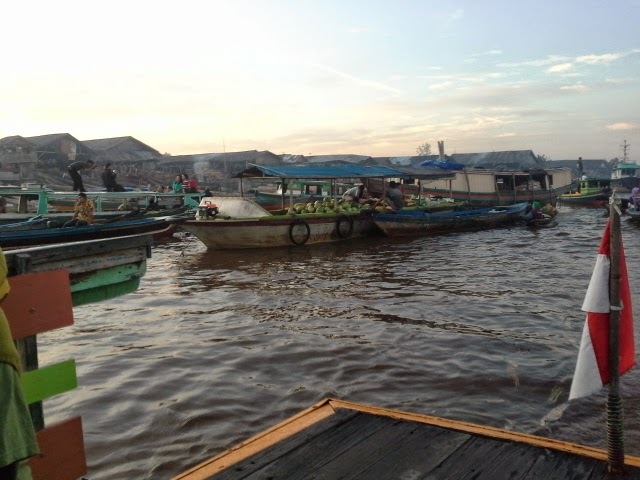 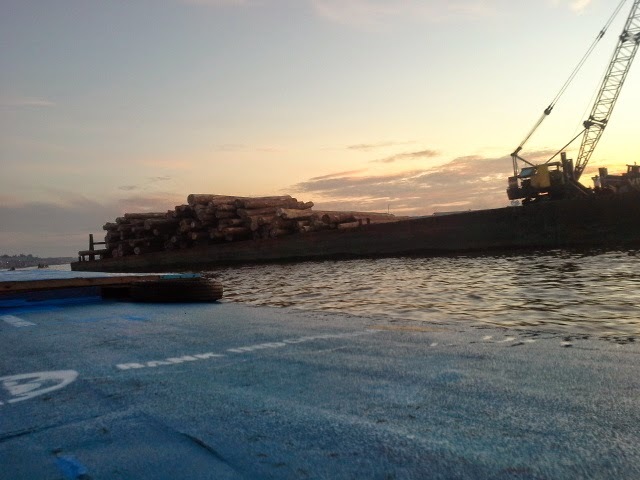 Last week I got the opportunity to go to Banjarmasin, the capital city of South Kalimantan. 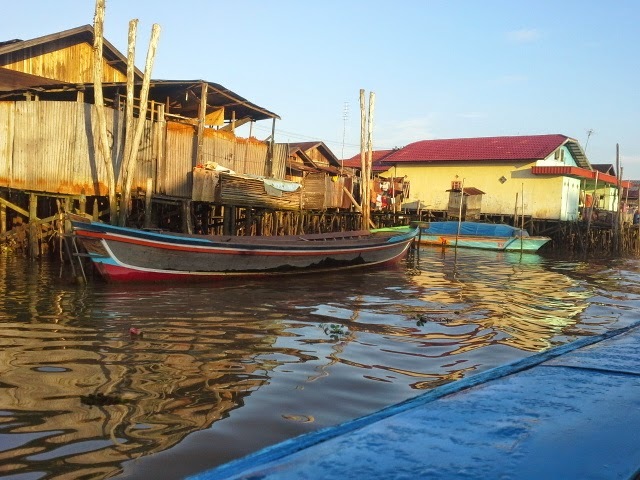 This is the first time I come to Kalimantan (Borneo) Island. 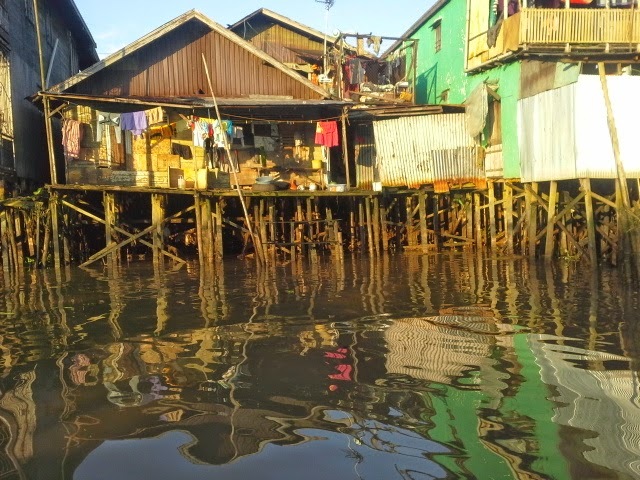 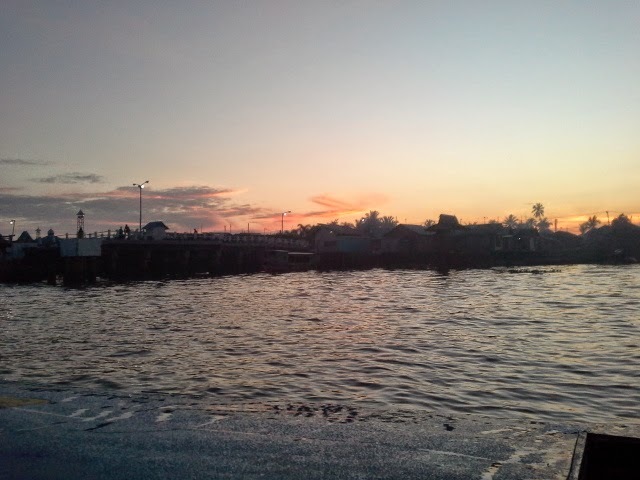 But I think the scenery in Banjarmasin it's not too different with other big cities in Indonesia, with the exception of its vast river and how it affect the culture of its citizen whom live at the riverbank. 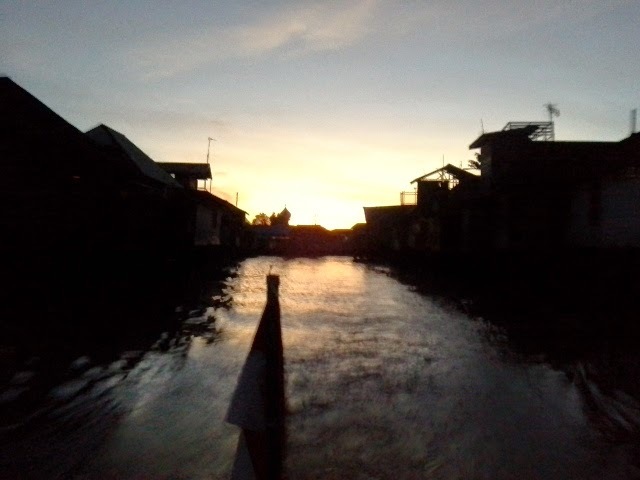 This city is located in the junction of Barito and Martapura river so it's sometimes called the "River City". 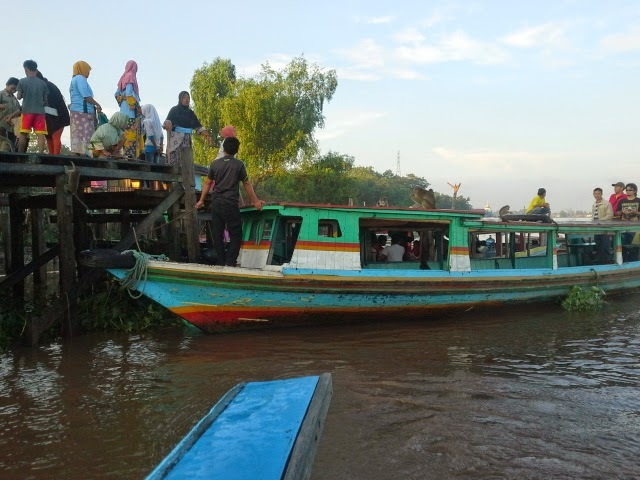 Banjarmasin is also famous as a center for gem trading, particularly rare diamonds and rubies in Martapura. 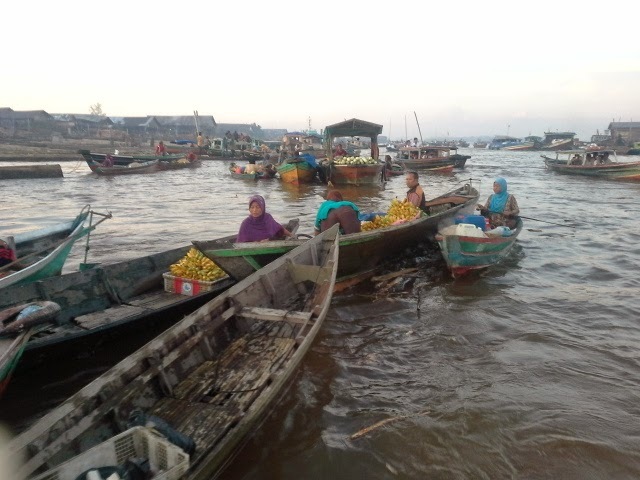 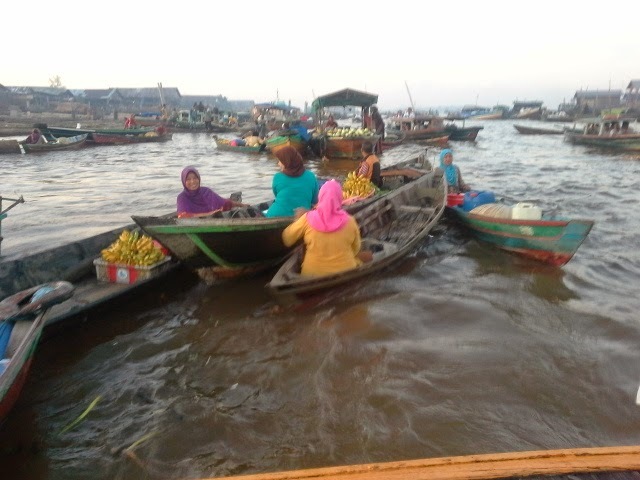 I got the opportunity to see the famous Floating Market in Barito river and visit Martapura while I was there. 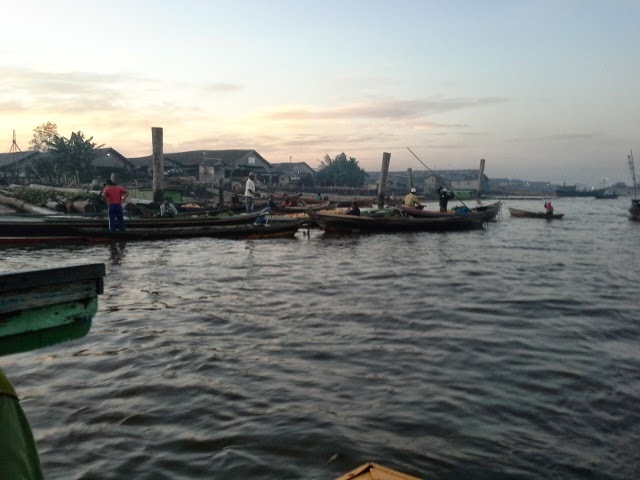 Here are some pictures of it. 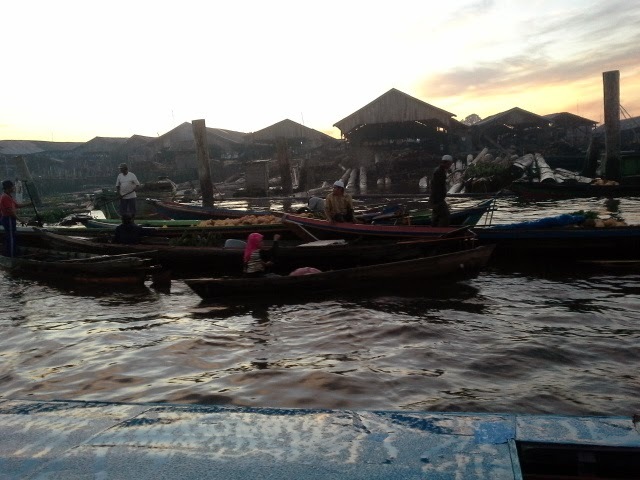 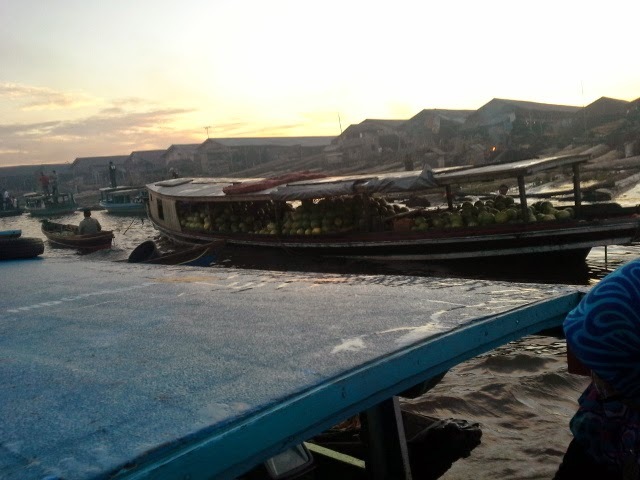 We have to wake up early to see the floating market. 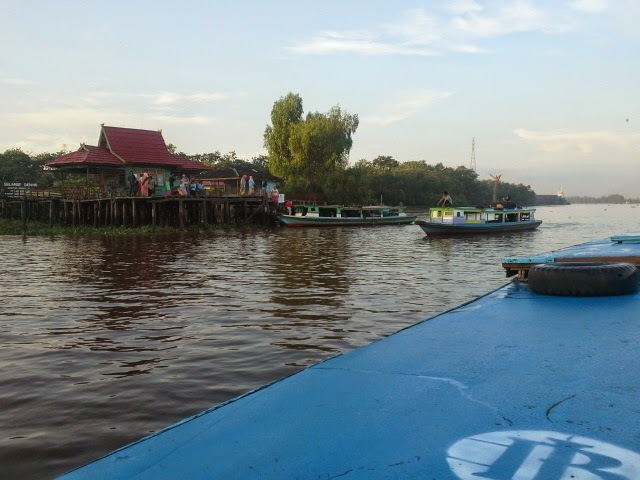 We visit a small place in the middle of the river. 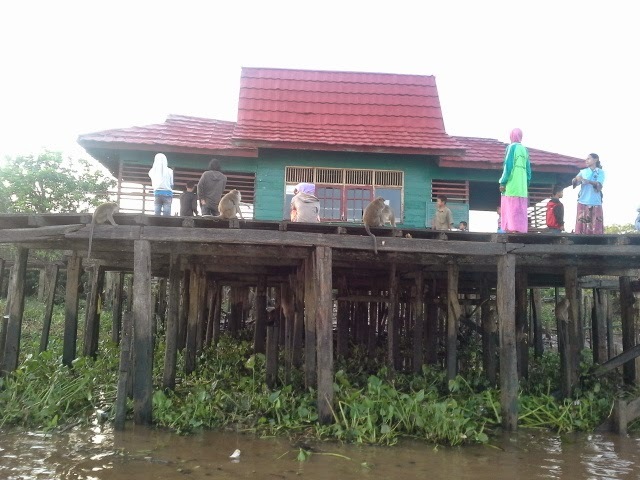 There are many monkeys. 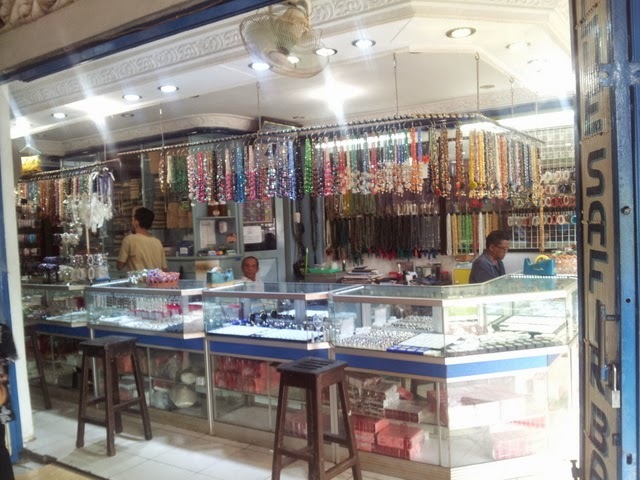 One of the jewelry store. 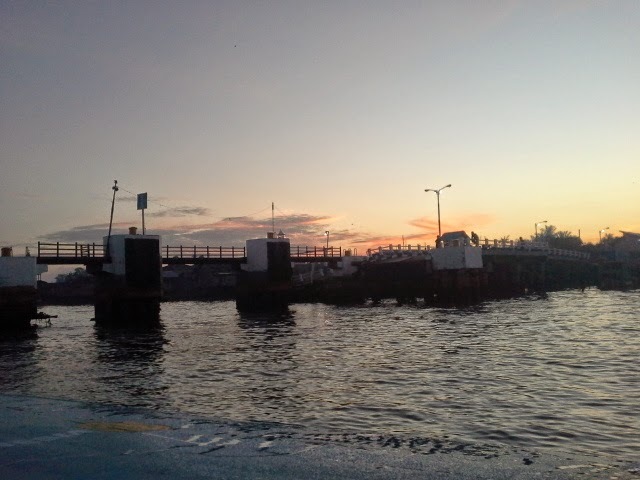 Overall it's lovely. 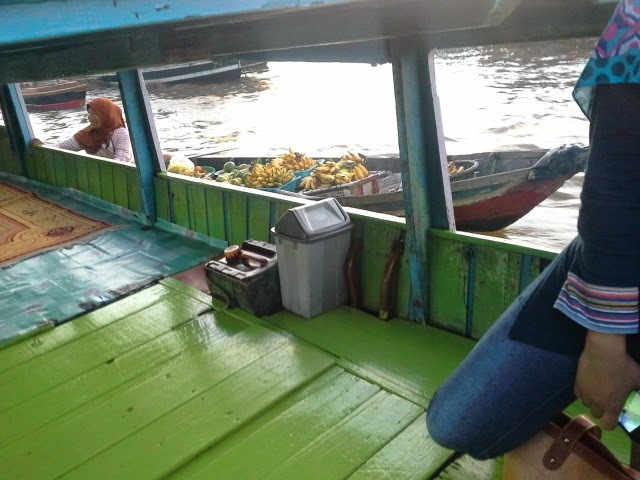 Even though the floating market is not as in my imagination, the journey along the Barito river give nice impression to me. 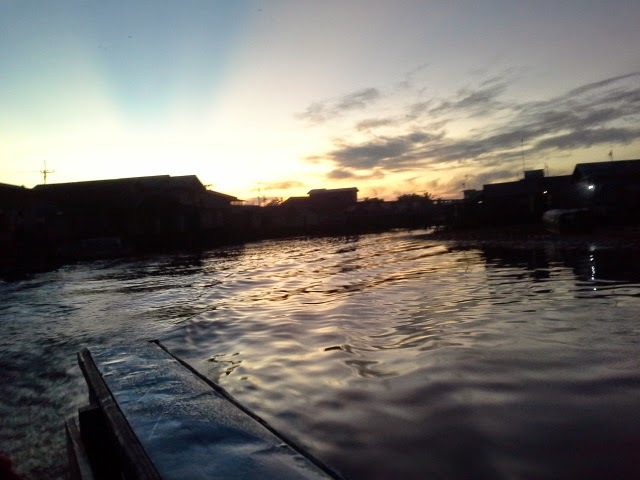 It's so vast and huge. 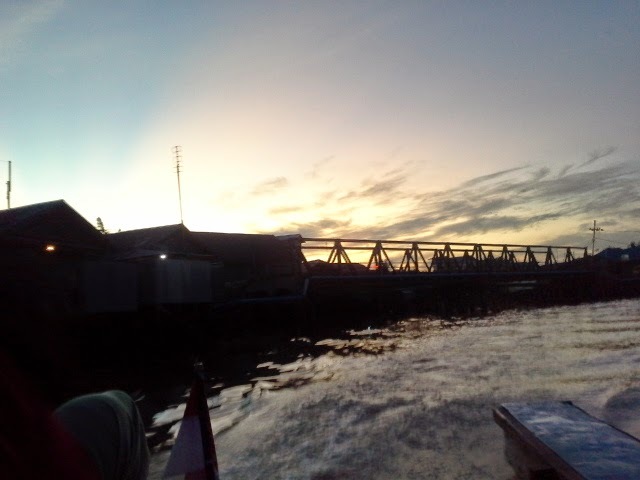 I've never see a river so vast before in Bali or Java. 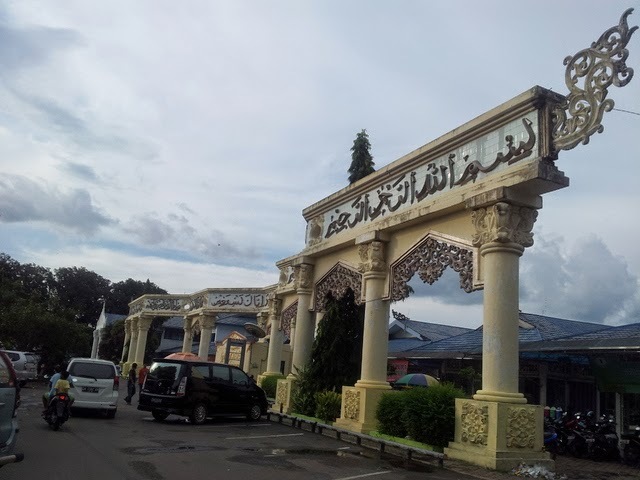 I don't have money to buy any jewel in Martapura. 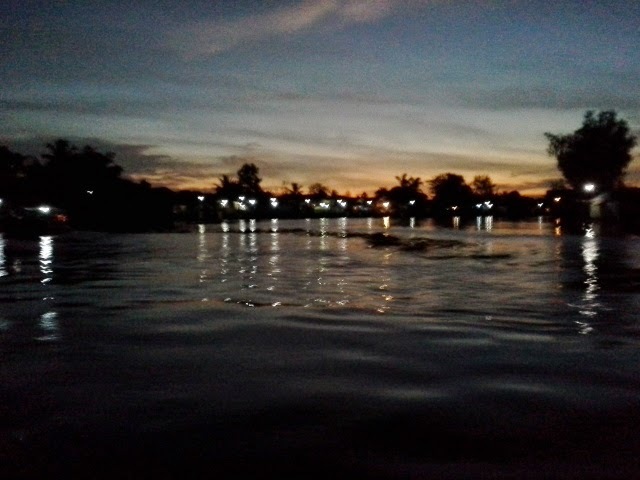 Hopefully I can go there again someday. 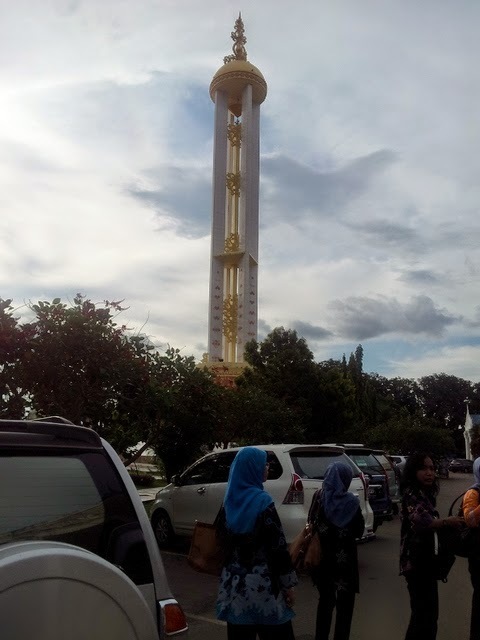 And when that day come, let's pray I have spare money to spent ^^.